Welcome to faster lesson planning! 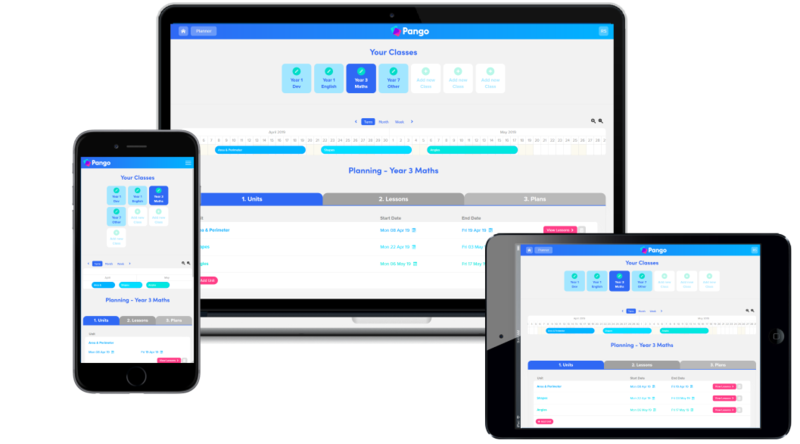 Pango is the modern platform teachers use to plan and organise amazing lessons, without the headaches! Yes, teachers can get started with Pango now for Free! Yes, Pango is available through the web browser, so all of your lessons are available on any device wherever you are. You don't need to be on your school's WiFi network or on a school computer. Yes, Pango can be accessed on any device with an internet connection – phone, tablet or computer. Take your plans with you wherever you go. Yes, Pango makes it easy to collaborate. Simply set up your school, invite your colleagues and start sharing plans and resources. Can I track National Curriculum Standards? Yes, Pango makes it easy to track which national curriculum objectives you have taught over the course of a year. Yes, with Pango you can keep everything in one place.